Home News Could Psychedelic Drugs Treat Depression and Anxiety? Could Psychedelic Drugs Treat Depression and Anxiety? Scientists in the U.S have demonstrated how psychedelic drugs such as 2,5-dimethoxy-4-iodoamphetamine (DOI), 3,4-methylenedioxymethamphetamine (MDMA), N,N-dimethyltryptamine (DMT), and lysergic acid diethylamide (LSD), cause structural and functional changes in brain cells that could feasibly be harnessed to help treat depression and related disorders. 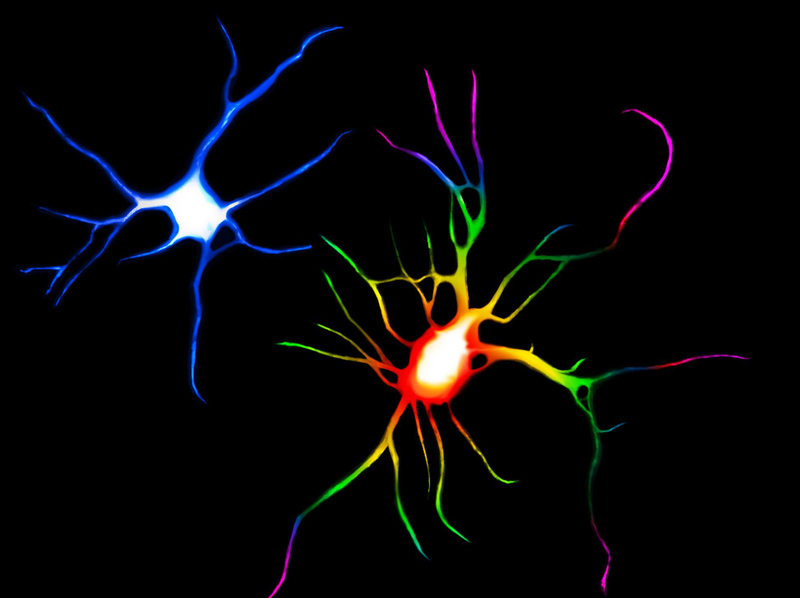 Depression is known to cause the atrophy of neurons in the prefrontal cortex (PFC) in the brain, and in vitro and in vivo studies by researchers at the University of California, Davis, have found that different classes of psychedelic drugs increase the numbers of neuronal branches, or dendrites, as well as the density of dendritic spines and synapses in cortical neurons. Some psychedelics tested, including LSD, demonstrated structural effects that were even more potent than those of the anesthetic ketamine, which over the last two decades has been the subject of intense research as a potentially fast-acting antidepressant for people who don’t respond to existing therapies. The UC Davis team has coined the term “psychoplastogen” to describe neuronal plasticity-promoting compounds, and reports on its work in a paper, entitled “Psychedelics Promote Structural and Functional Plasticity,” which is published today in Cell Reports. Multiple studies have demonstrated that the pathophysiology of depression and related disorders is associated with atrophy in PFC neurons and with “structural changes, such as the retraction of neurites, loss of dendritic spines, and elimination of synapses,” the researchers write. “One of the hallmarks of depression is that the neurites in the prefrontal cortex—a key brain region that regulates emotion, mood, and anxiety—those neurites tend to shrivel up,” Dr. Olson explains. Finding compounds that can promote structural and functional plasticity of neurons in the PFC could feasibly offer a general solution to treating such disorders, but the few compounds identified so far have “significant drawbacks,” the team continues. Of these, the most promising, ketamine, has shown “remarkable clinical potential as a fast-acting antidepressant,” even for treatment-resistant populations. Studies in animals have shown that the compound can promote the growth of dendritic spines, boost production of synaptic proteins, and bolster synaptic signaling. Some clinical studies have shown that, like ketamine, serotonergic psychedelic drugs can also have long-lasting antidepressant and anxiolytic (antianxiety) effects, including in treatment-resistant patients, and one, MDMA recently received FDA breakthrough therapy designation for treating post-traumatic stress disorder (PTSD). However, while such serotonergic psychedelics have demonstrated promising anxiolytic and antidepressant properties, how they work isn’t yet understood, and questions about their potential safety has held back clinical use. “These are some of the most powerful compounds known to affect brain function, it's very obvious to me that we should understand how they work,” Dr. Olson states. This similarity between the effects of serotonergic psychedelic drugs and ketamine, both in clinical studies and in animal models, led the UC Davis team to reason and test whether the therapeutic effects of these different drugs might stem from similar mechanisms of action, which promote structural and functional plasticity in cortical neurons. Loss of dendritic spines is another hallmark of neuropsychiatric disorders such as depression, and in a separate set of microscopy studies the UC Davis team showed that treatment of mature rat cortical cultures with DOI (amphetamine), DMT (tryptamine), and LSD (ergoline) increased the numbers of dendritic spines, and also promoted the formation of synapses, resulting in increased synaptic density. Follow-on in vivo studies in adult rats also showed that treatment with DMT led to increases in dendritic spine density in prefrontal cortical neurons 24 hours after dosing. These results were comparable to those resulting from a similar dose of ketamine. DMT-induced increases in dendritic spine density were also linked with increased postsynaptic electrical activity. “Because the half-life of DMT is exceedingly short (~15 min), these results confirm that structural and functional changes induced by DMT persist for hours after the compound has been cleared by the body,” the team states. Prior studies have demonstrated that the behavioral effects of ketamine are dependent on brain-derived neurotrophic factor (BDNF), which is also known to play a role in neuritogenesis and spinogenesis. The team’s studies also demonstrated that inhibiting BDNF’s high-affinity receptor TrkB (or tropomyosin receptor kinase B) blocked the ability of either the psychedelic drugs or BDNF itself to stimulate neuritogenesis and spinogenesis. In a final set of studies the researchers investigated whether the serotonin 2A (5-HT2A) receptor, which is primarily responsible for the hallucinogenic effects of classical psychedelics, played any role in the plasticity promoting effects of DOI, DMT, and LSD. They found that chemically inhibiting 5-HT2A completely blocked psychedelic drug-related neuritogenesis and spinogenesis. “Our work strengthens the growing body of literature indicating that psychoplastogens capable of promoting plasticity in the PFC might have value as fast-acting antidepressants and anxiolytics with efficacy in treatment-resistant populations and suggests that it may be possible to use classical psychedelics as lead structures for identifying safer alternatives, the authors state.